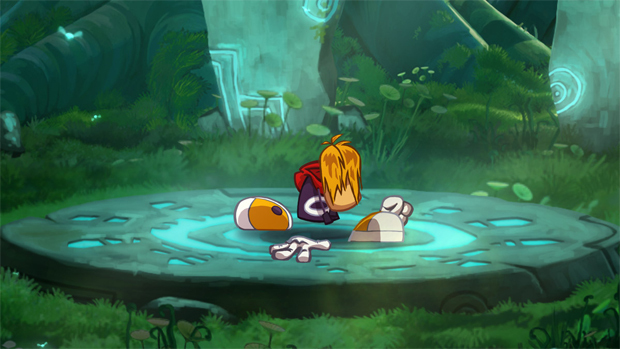 It looks like everybody is going to get a chance to dive in on the latest Rayman title, as news comes from Ubisoft today that they will be expanding their publishing of Rayman Legends to include PS3 and Xbox 360 and no longer releasing exclusively for Wii U. Along with the expansion of platforms comes a delay, seven months worth, with all three versions now planned for simultaneous release in September. Great news for players of the older consoles, but that has to sting from Nintendo's perspective. Rayman Legends was a lovely feather in their cap and certainly one of the titles I was most looking forward to playing on my Wii U. Now, we get to wait more than half a year for that, regardless of what's available in your living room. In the grand scheme, it could be a sign that Ubisoft is backing away from its initial support of Nintendo's platform. And why not? Ubisoft pumped tons into making games for Wii with little to show for it. If the Wii U audience is likewise failing to purchase (or isn't of adequate size to recoup the investment), it's only expected that it's going to lose love from the publishing end. Meanwhile, with all that additional development time, it had better be in damned good shape. Now that your options are more open, will you be grabbing Legends? Has the option of playing on other consoles made any of you Wii U owners reconsider which platform you'll be buying on?